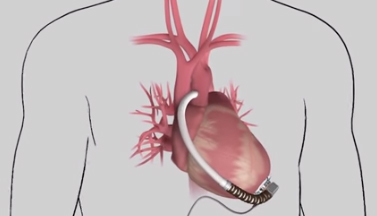 Biggest deal since 2015 Covidien acquisition expands Medtronic's cardiac line with LVAD. Medtronic has ramped up its buying spree, agreeing to pay $1.1 billion for LVAD-maker HeartWare International in a bid to reach more heart-failure patients. Medtronic will pay $58 per share in cash, nearly double HeartWare's Friday closing price of $29.98. HeartWare's stock soared nearly 92% Monday morning on the news to $57.49 while Medtronic's dropped slightly to $81.86. Both companies' boards of directors have approved the deal, which is expected to close October 28, according to a statement by Medtronic. The deal also puts Medtronic on more even footing in the minimally invasive ventricular assist device market with St. Jude Medical, which acquired LVAD-maker Thoratec and its HeartMate III technology for $3.3 billion in 2015. HeartMate III won the CE Mark in October, and won FDA approval earlier last year to enlarge the pivotal trial for the next-generation device. HeartWare has "multiple technologies" in development for even less-invasive devices for patients with end-stage heart failure, according to Medtronic. The medtech giant estimates that the global VAD market at approximately $800 million, and predicts it will grow by tens of millions of dollars in next couple of years. Medtronic will fold HeartWare into its cardiac rhythm and heart failure division. The company said its fiscal 2017 revenue and earnings guidance remain unchanged. It expects the acquisition to be a money-maker in three years. "The team at HeartWare has established excellent relationships with its hospital customers and built a strong position and reputation in the marketplace," said Mike Coyle, executive vice president and president of Medtronic's cardiac and vascular group. "This transaction, once closed, will be a further, important step toward Medtronic offering a complete suite of solutions to address patient needs across the heart failure care continuum." Medtronic was apparently nonplussed by January's news that HeartWare no longer had a timeline for its next-generation MVAD system. The Framingham, MA-based company halted a trial for the CE mark in October. CEO Doug Godshall said then that the company found "certain algorithms, which appear to increase the potential" for blood clots in the pump, a potentially deadly condition associated with ventricular pumps in general. The company's stock dropped 41% year-to-date through Friday, according to MarketWatch. Heart failure remains a leading cause of hospitalization and death in the United States, affecting more than five million people in the U.S. alone. Medtronic estimates that figure could exceed 8 million by 2030. U.S. heart-failure expenditures hover around $39 billion per year, the company said. Medtronic has been on a billion-dollar buying spree since its $50 billion acquisition of Covidien in 2015. Earlier this year, it announced plans to buy privately-held Bellco (Mirandola, Italy), which it describes as a pioneer in hemodialysis treatment.